The favour brand of tobacco in the Rainbow Gatherings? Yours! You Don’t Mind That I Just Borrowed Your Car for a Week? What’s a hippie’s favourite brand of tobacco? I don’t mind too much when people walk around the circle asking me for ‘tobacco connection’. Addiction is a nasty beast to carry on one’s shoulder and maybe they gave away all their cigarettes and rolling tobacco to other people who asked. Hey, maybe it’s even tribal, as the explorer, Wilfred Thesiger remarked in his travelogue Arabian Sands about his time with the Bedouin in Saudi Arabia in the 1940’s. And yet for all the belief in cosmic abbundance, the more that we give the more that we’ve got to give, sometimes it goes too far. I’m used to keeping my guitar close to me so that no one decides to take it deep into the forest to assist their meditation. I don’t leave chocolate lying around outside my tent. But the story I heard at the Rainbow this summer blew me away. 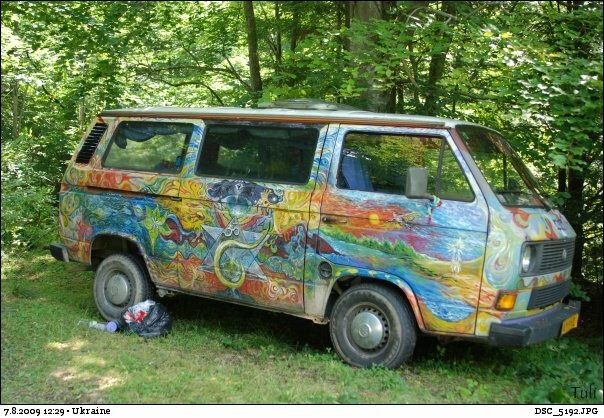 One Italian brother was asked last year at the European Rainbow Gathering in Romania if he might give someone a lift. Sorry, he said, I don’t have any room. No problem, the other brother replied, but maybe you could take my bag with you to the World Rainbow Gathering in Hungary? Of course. Why not. And when the Italian brother arrived to Hungary he saw the owner of the bag and gave him the keys to collect it from the car. He took the bag…and the car. A week later he turned up again at the Rainbow Gathering after his tour of Hungary and gave the Italian brother the keys and 5 euros for petrol. 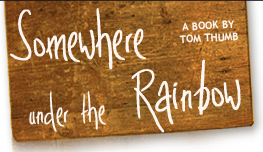 If you enjoyed this Rainbow story you might also like the book! These are some extra Rainbow stories that didn’t fit in the book. 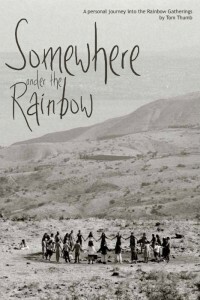 You can read some chapters from Somewhere Under the Rainbow. Or even support the author and buy the book! « What Happens to the Magic Hat Money at the End of a European Gathering?